Due to the efforts of a pioneering local birder, Soweto has become known as a fascinating area to go birding. 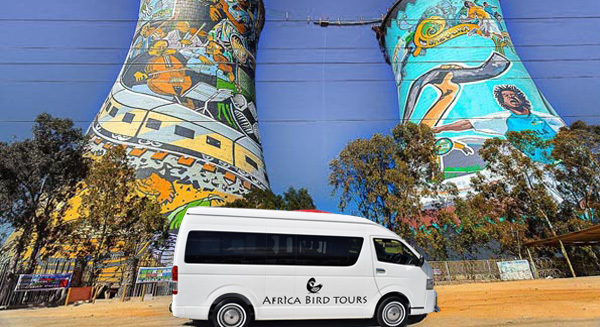 Key areas for birding center around the iconic painted towers of Orlando Power station, and includes excellent wetland and Highveld koppie birding. Tour package includes a meal and two drinks, access fees to reserves, parks and other birding sites. Local ground transport is included. This includes a large transport van for most of the trip. This itinerary is especially well suited to any time of year. Soweto is especially ideal during South Africa’s winter months (May – September). These months are among the coolest, and additional layers are strongly recommended for early mornings and evenings. Cooler temperatures also make for pleasant conditions, though the winter months do experience more rain.